Today Digital Aroma has come up with a very well known topic. We are sure that all kinds of people like students, employees, business holders, industrials etc has know the topic which is Web Designing and Web Developing. Even though it is a common topic, we want to make the better understandable way for the new readers. Due to this we have decided to write about Web Design and Development. Why Web Design or Web Development? By the above contents itself you can understand that information available in this blog is provided in a very effective manner. So, let’s get started. Beginners who have a thought of designing the web pages or implementing the web development for the first time are advised to read the introduction part. So, you can get clarity about the Web Design and Web Development. In general, there are hundreds of definitions for web designing. But the meaning of all the definitions is that Web Design is a combination of number of elements such as creation, planning, layout, architecture etc. Along with that many elements that every web designer must cover while designing web pages. They are colour, contrast, font, images, videos, user interface etc. Outcome of all these elements in the form of web page is known as Web Design. Web Development consists of particular tasks associated with developing websites for hosting via intranet or Internet. Web Development is also known as Web Programming which involves in creation of dynamic Web Pages. The web development process includes web design, web content development, client-side/server-side scripting and network security configuration etc. We can make great career in Web Development because there is a high demand and pay for web development. Why Web Design and Development? I think, we need not explain the importance of website for any kind of business. Web Designing and Development are the key components for every business where they both combine and provide a business website. In olden days, web design or website use to just explain about your business. As per the present technology, your business website can be reached to various customers situated in various locations through latest Digital Marketing Techniques. By this we can understand that, there is a good scope for getting more leads for your business as your web pages will reach the unexpected locations. Whilst, working at CERN Tim Berners-Lee proposed to create a global hypertext project in 1989 which is now known as WWW (World Wide Web). The World Wide Web was born during 1991-1993. From 1993-1996 there established a number of browsers. Throughout 1996-1999 the browser wars began, as Microsoft and Netscape fought for ultimate browser dominance. In 1996, Microsoft released its first competitive browser, which was complete with its own features and tags. CSS & Flash (originally known as FutureSplash) were also introduced in 1996. During 1998 Netscape released Netscape Communicator code under an open source licence, enabling thousands of developers to participate in improving the software. After that, Microsoft’s Internet Explorer was released for Mac in 2000. During this time Netscape was sold to AOL and this was seen as Netscape’s official loss to Microsoft in the browser wars. Since the start of the 21st century the web has become more and more integrated into people’s lives. Let us go through some concepts in this section. By this you can understand how Web Design and Development together will provide a desired website. Web Design is an art of transforming an idea or a story in to visually appealing design. A website design company should prepare the website layout according to the customer choice before a web developer can start developing it. Web Designing is a difficult role where the web pages should satisfy and attract the customers and web users. Web Design company should create a welcoming nature for the user with their websites and projects. Before starting the design, designer will go through the concept twice, build a plan and execute it. He/ She have to be aware of number of things like architecture, layout, user experience, colour, contrast, images, videos, text, font etc. Web Development can be categorized in to two parts – Front End & Back End. 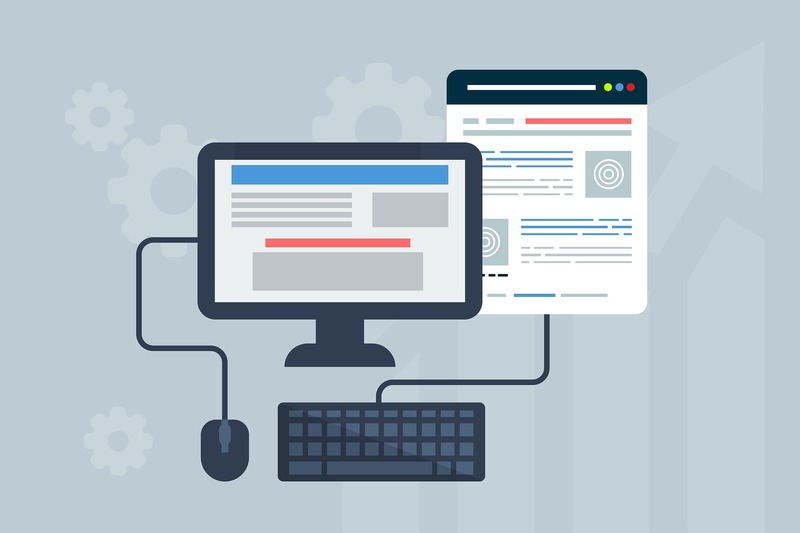 A front-end developer is the one who builds the interface, and provides the layout as the interaction between the back-end of the website and the user. With the help of above languages Web Developer can create full-fledged website. Back-end developers are those who control the server data and requests. The back-end or server-side of an application is responsible for managing data within the database and serving that data to the front-end to be displayed. Web Designer must have good experience with graphic designs. Should find out simplest approach to complete the desire function by covering all the elements like includes the layout, buttons, images and the general format of the website. Web designers need to keep themselves up to date with the latest design trends. Along with that, it is also important to keep design consistency that is made popular from other web giant companies, such as Google, and Facebook. Web Designers should remain that Branding and readability of website are very important. 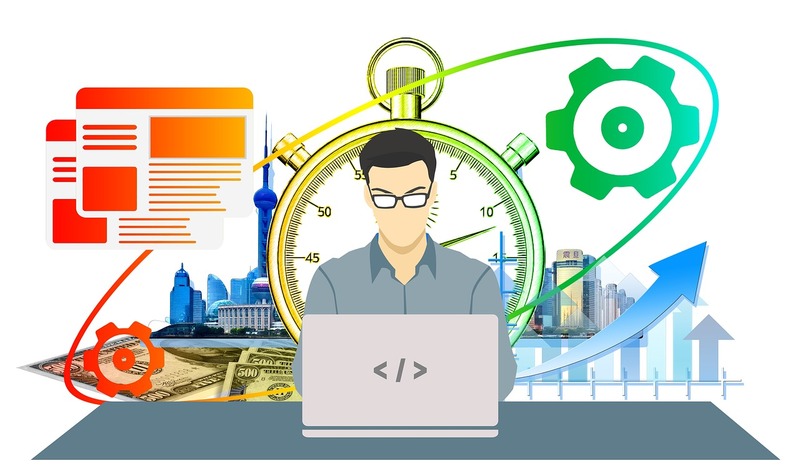 Front-end developers provide the markup design to back-end developers, so they can implement a dynamic website, and submit all the required data on the server and databases. By using languages such as PHP and MySQL, Back-end developers create the backbone of the website. There are some common development environments or IDEs where both Front end and Back end developers can use. Web developers may also use versioning tools to keep a history of the previous builds. This will help them to quickly and effortlessly move back to a previous “unbroken” version if required to do so. Following are Web Designing Tools that help all web designers to produce more scalable layouts and also improves coding practices. 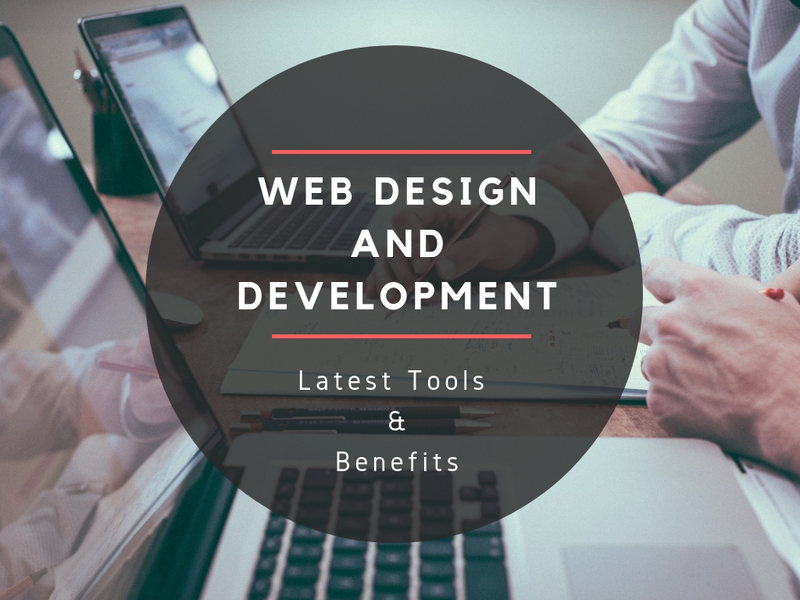 Almost every Website Design Company will use these tools in their projects. Following are the Top Web Development Tools for 2018. All these tools will help every web developer to produce a more creative websites. Due to this, every website development company will make use of these tools. There are many people who are looking for Website designs. All those candidates need not worry. At present there are number of Web Designers who can provide very creative website according to your choice. You can also find number of web development companies in your city. If we observe clearly multiple website designers will available in our nearby locations. Why because, each city of India have at least one Web Design Company and one Web Development Company. Digital Aroma also provides reliable and the best web designing in Vijayawada. Below are some of the amazing benefits of implementing Web Design & Web Development Services for your business. All the readers are advised to follow the below benefits carefully and know the importance of Web Design and Development. We want to conclude that Web Designing and Web Developing services are must and should for all kinds of business. Even small scale business will grow to large extent after creating their business website. Contact us for all kinds of Website Design Company in Vijayawada. Post all your doubts about Web Design and Development in the below comment box. You can also consult us to clear your doubts about Website Development Company in Vijayawada. Free consultation is available in Digital Aroma.